Most visitors are attracted to Colonsay for its tranquility and unspoilt natural beauty.Colonsay offers a range of self catering holiday homes, back packers lodges, cottages and inns, most with sea views and open fires to ensure an enjoyable stay. In case you are looking for a retro theme, the victorian farmhouses and former estate houses would be the best options. 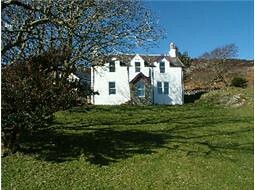 You can choose from those with loch or sea views or set amidst gardens and woodlands. The travel team of Travel Scotland has picked up some of the most popular accommodation options in Colonsay to help you choose the one that suits your needs and moods!